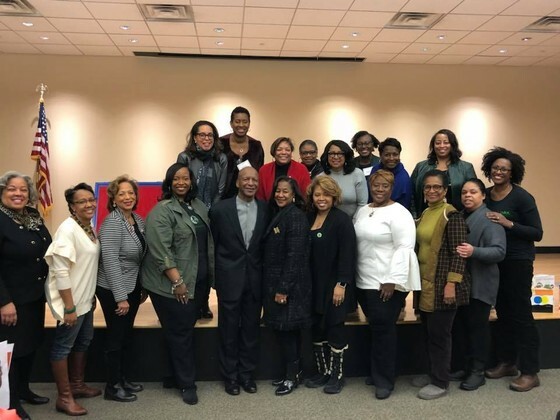 Activities include visits to the DuSable Museum of African American History, attendance at dance performances such as Alvin Ailey Dance Theatre and plays at the Hemmens Theatre in support of their Black History program. In addition the chapter has developed a partnership with Metropolis Theatre in Arlington Heights, IL and Larsen Middle School in Elgin by sponsoring outings to plays and providing financial assistance to students performing in and producing student plays. 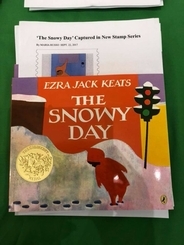 On 2/10/18 families came out to join us on the snowiest day of the year for a wonderful afternoon Exploring the Art of Ezra Jack Keats in “ The Snowy Day”. Our Arts Facet Committee provided a fantastic and engaging opportunity for children and families! We were also honored to have Secretary of State Jesse White to greet our guests and encourage our youth!